Sebastian O is a singer-songwriter from Venice, Italy who approaches the folk genre with a rare stylized form of intellectual forethought, and his experiments are not dissimilar to those of earlier musicians like Tim Buckley or Nick Drake. 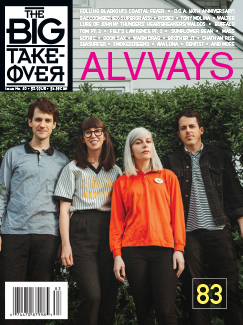 His debut album In Your Room is the result of a careful examination into the mechanics behind the process of recording, and ultimately, the main goal of his music is to capture the feeling of spontaneity. The artist employs several tricks to aide this mood, and chief of them is his method of spot reading the lyrics instead of memorizing them. It gives the entire album a certain precarious nature; caught somewhere in the middle between improvisation and prepared affectation. Theoretical musical practices aside, it also helps that the entire album is solidly constructed. There’s a warm intimacy to songs like “Blue and Gold” or the hypnotically beautiful “Following Your Eyes,” and regardless of the veracity behind Sebastian O’s ideas, there is a true artistry to his lyricism. For good measure, he also tosses in a cover of the Ramones’ “I Wanna Be Sedated,” and although his slowed-down version loses the fun of the original, it is an interesting interpretation that stresses the nervy quality of the lyrics. 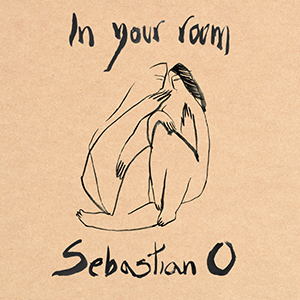 In Your Room is commendable for the risks taken, but hopefully it will be lauded more for the quality of Sebastian O’s songwriting.